The Astra's merits are its comfort, refinement and top value for money. They set it apart from other popular family hatchbacks, which are renowned for other qualities. 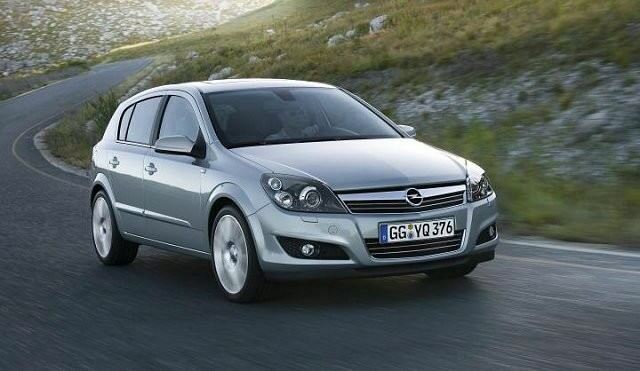 There's a lot of competition in this sector so it's worth shopping around first, but the Opel has always been among the best sellers in this segment. One of the front runners of the family hatchback segment, the Opel Astra is up there with the likes of the Ford Focus and the Volkswagen Golf. It isn't quite as good to drive as the Ford, nor is it as solid and valuable as the VW. However, the Opel's trump card is value for money - it costs less to buy than its biggest rivals and generally gives buyers more for their money. As is typical for a car of this sector, the Astra is loaded with engines and trim levels. Petrol power consists of 1.4-, 1.6-, 1.8- and 2.0-litre units, topped off with the 240hp 2.0-litre turbocharged OPC flagship. Diesels start off with the 1.3-litre CDTi engine and increase to 1.7- and 1.9-litres. The 1.7 comes with 80-, 100- or 110hp, while the 1.9 offers 120- or 150hp. Trim levels are numerous and it's confusing trying to work out which Astra comes with what. Life and Club models are the most basic versions, while SRi and SXi are the more desirable mid-range models and Elite is the top-end affair. It's worth remembering that Astra wasn't only available as a five-door hatchback - it was also produced as an estate, a GTC (three-door, sportier variant) and a convertible known as the TwinTop. The multitude of choice makes it difficult to pin down a single Astra, as your needs will ultimately dictate which one you choose. Those who cover modest mileages could do worse than the 1.6- and 1.8-litre petrol engines, while the 1.7- and 1.9-litre diesels are better for anyone covering a higher mileage. A mid-spec SRi or SXi model is well worth a look, but better specified Elite variant is more affordable than you might think.